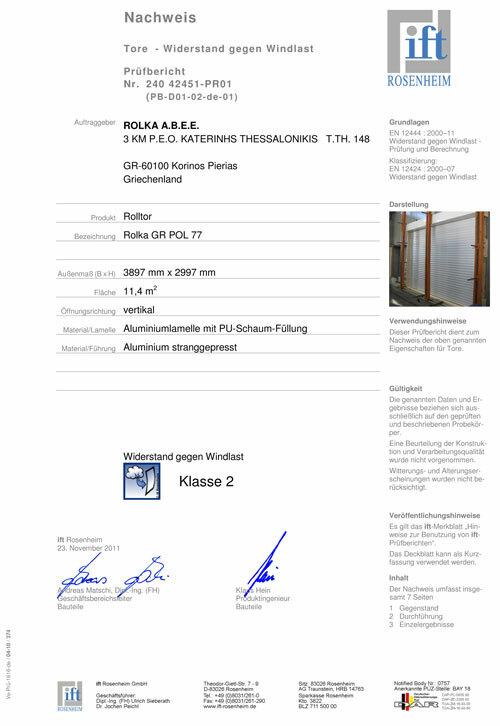 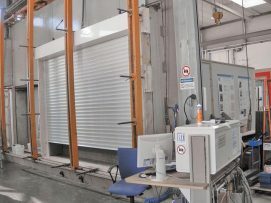 ROLKA S.A. produces garage door systems that are certified in accordance with EU legislation and the EN 13241-1 model. 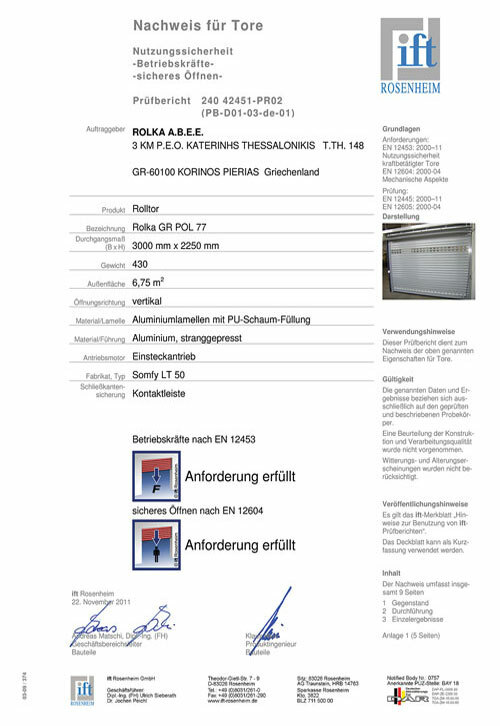 ROLKAΆs garage door systems have been certified by the internationally acclaimed German Institute “Institut fur Fenstertechnic” (ift ROSENHEIM). In order to affix the CE marking and certify safety according to the EN 13241-1 model, it is necessary to install all safety accessories (safety brake, photocell, rubber with obstacle sensor etc).